We are right next to the lakes of Annecy and Aix-les-Bains, in one of the natural parks in the ‘massif des Bauges’, heritage listed by UNESCO. 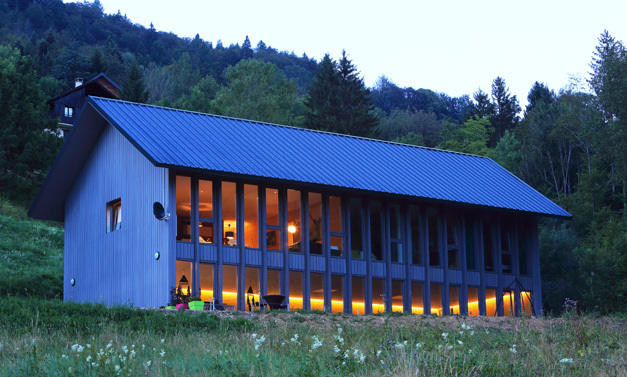 We built our chalet here with respect for the idea of comfort, aesthetics and the natural environment. Our chalet is hidden in a real little slice of paradise where the whole village lives in tune with nature and the associated activities. The sports station of Aillons-Margeriaz offers many leisure activities over and above those proposed in our chalet : hiking, via ferrata, skiing and cross country skiing, joering, snow-shoe walking on dedicated paths and also horse-riding, biking and mountain biking. Real “mountain therapy” on your doorstep ! 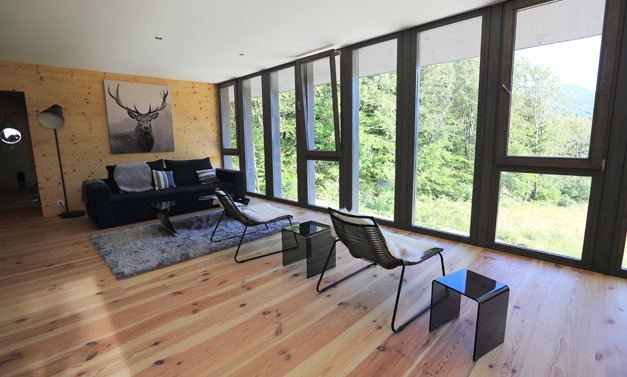 Our three bedrooms are cosy, full of natural light and warm colours – a real “moutain” atmosphere. You will be able to get away from it all, rest and recharge your batteries. The gite is south facing with a large wood terrace and a magnificent view. Our cooking is essentially local, organic and vegetarian, for a more ethical and healthier food. A full of life table which feeds us of colors and heartening flavors! The benefits of the Scandinavian bath have been known for two millennia: it reduces stress, deeply cleans the skin, flushes toxins and improves thermoregulation and sleep. The Scandinavian bath is essential for muscle recovery after sports sessions. Ideal complement of the Spa, the sauna boosts the body’s natural defenses, relieves muscle aches and improves skin’s elasticity. The hot/cold variations induce intense relaxation as well as stimulation of the cardiovascular system. The heated pool allows gentle work in the water without weight constraints and thus preserves all the osteoarticular system. Throughout the year, we offer internships at the chalet as part of our sports activities. We have different lodging rates if you make reservations within this framework.